Do you have a kiddo or friend who is saving up their money for something special?? And you want to give them a money gift this year, but are looking for a way to make it more personal? 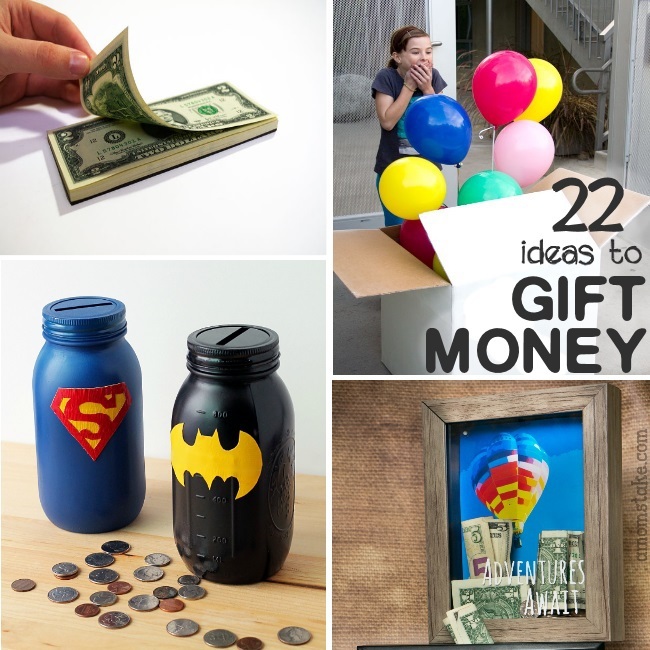 We have a whole list of creative money gift ideas! These are unique ways to give a kid what they really want, while wrapping it in a unique way that will make them smile! Snow globe – Teachers LOVE gift cards (I know I did when I was teaching!). Glam it up by creating a snow globe around your card. Floating Funds – Fill Translucent balloons with confetti and some rolled up bills. Light bulb of cash – Gift a kiddo a fake light bulb filled with bills. Half the fun is that they will need tweezers to pull them out! to laugh when they see the tie is made of money. Money Pad – Tear off sheets of (real) money! Make one yourself by gluing the ends of a fresh stack of one dollar bills with Rubber cement. Balloons! – A box of balloons will surprise your kiddos. Roll up a bill and put it into each balloon along with a little note. Fill them up with helium and mail. Super Hero Banks – Give your kids some money and a chance to learn how to save funds with a mason jar bank. 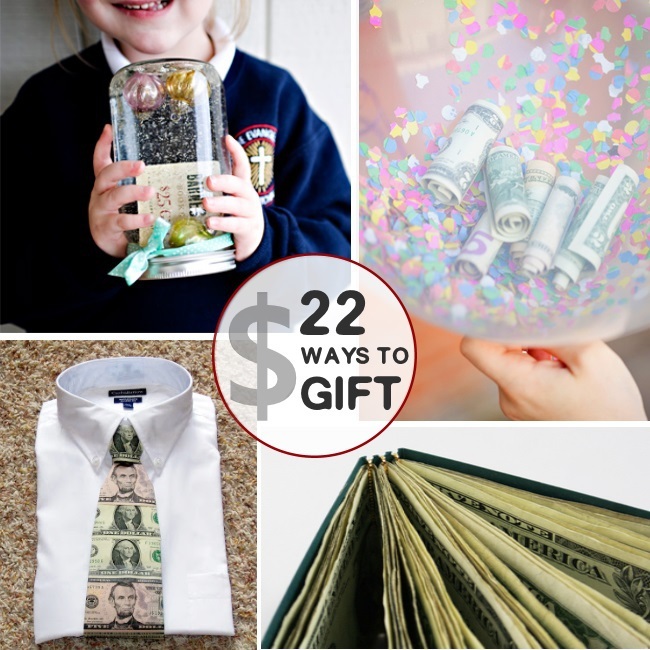 Saving Picture – Gift an event to your kids – and help them learn to save up for it. This is perfect for the gifts that you can’t afford yet. Star Origami – Put a creative twist on the money itself and origami it into the shape of a star! Christmas tree farm – Make your own Christmas tree farm in a box! The trees are made from folded bills and you can add some decorations to make it look more festive! Candy *money* jar! – Your kids will *think* they are getting a candy jar, and what kiddo doesn’t want a candy jar? But they’ll discover there’s actually a wad of money in there! 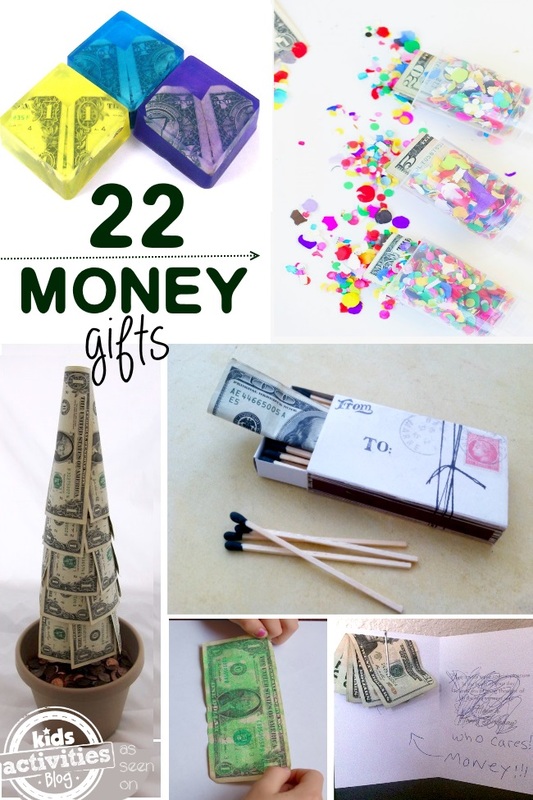 Money DOES grow on trees – Make a money tree for a tween this Christmas. You can include it in an over-sized card to be a bit more discreet. Christmas Card – Create your own decorative card, sneaking some folded money into the decorations! Confetti popper – when your kiddo bursts the confetti they will have a bonus surprise. Cash! Box of “Chocolates” – This fun idea will make the kids think they’re getting a box of chocolates. But little do they know, there’s actually money inside! Tacky way – What kid actually reads the entire Christmas card anyway? Here’s a fun way to make them laugh (and give them what they really want). Money Christmas tree – This tree makes an adorable table decoration and a fun gift! The terra cotta pot makes it so cute! Rose of Money – This adorable tutorial teaches you how to create your own rose using bills. Adorable folding makes a sweet and creative gift! It Pays to Soap Up! – Fold a bill up into a fun shape with origami. Then pour a translucent soap over the bills and let it harden. Your kids will get paid to wash their hands. Stocking stuffer – This is another version of soap. Make these DIY melted soaps with money in the middle! Then as your kids wash they use the soap and the money will become available. 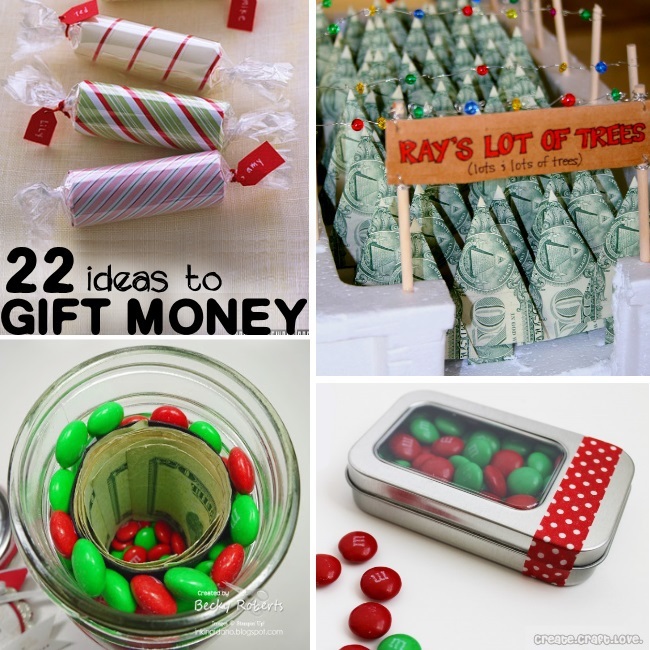 We hope you have fun making a creative money gift for the people on your list that seem to have everything! And maybe you can share with them some creative ways to hide their money, once they’ve got it! For more DIY ideas, check out this awesome list of toys you can make for your little ones! JOIN THE CONVERSATION ON OUR FACEBOOK PAGE FOR MORE DIY IDEAS! I love the idea of giving the kids (and adults) experiences as gifts! Creating special memories is the best kind of gift. We usually do a house decluttering and donations before the holidays to prepare. I’m definitelly using some of your ideas for inspiration. Thanks for sharing! Can I buy flight ticket to SA using TBC?